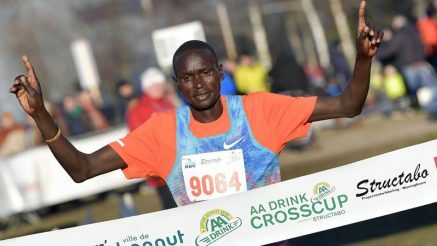 20th January 2019 – Thomas Ayeko (UGA) once again showed his versatility as he took a gun to tape victory in the CrossCup Hannut on Sunday. In 2018 Thomas finished third at the African Cross-Country Championships, fourth at the Commonwealth Games on the track, and second in the Sydney Marathon on the roads. Back on the mud and hills of Europe he controlled the race from the start as he hit the front and was never challenged. Crossing the line in 25:26 for the 9km course, Thomas was 21 seconds clear of the runner up. This performance showed good progress for Thomas as he builds towards the Ugandan trials for the World Cross-Country Championships where he is hoping to be part of what will be a strong Ugandan team.